Type in “95125” into the search box and press the search button to see real-time data maps rendered. Being improved and B2B. • Analyzed and ran due diligence on the real estate and banking industries with emphasis on current local demographic and economic data. Developed system to monetize this data information. • Developed an accurate 24-month forecasting model at the national & local (Block Group) levels. • Developed unique colorized maps and reports allowing customers to select form a list of the latest local parameters, such as job growth or migration. Maps allowed ranking of local parameters that changed every month/quarter, and then optimal listings or target. • Discovered a more accurate model not to properly assess risk. Built a team that developed the only accurate predictive model for over 300,000 US markets that accurately predicted the housing crash in late 2007, 2-years before it happened. WAYGUM.io offers an Enterprise-Focused-Mobile-Platform-Suite that guarantees to increase the Speed-to-Market to build and host Enterprise grade Mobile Apps, at least by 5x times. Its Mobile Backend as a Service (MBaas) product provides the best in class enterprise grade push notifications, audience intelligence and analytics (Think Parse.com for Enterprises). The Visual App Dev product helps you create beautiful Mobile Apps. Tech from IIT Madras, one of the most prestigious Engineering University in India. 15+ years Enterprise Software Experience; Has architected, led and built many high impact software systems in Cisco, eBay, SVB, Wells Fargo. Spotlime is Hotel Tonight for events – the simplest way to discover and book events last-minute. Join us at www.spotli.me and start enjoying the best events in your city in 2 taps. Race Yourself is a unified, gamified, fitness platform leveraging wearable technology, and based on an augmented reality experience to motivate and entertain users. At first it will be for Google Glass, but imagine being able to ‘Race Yourself’, everywhere you can see a heads up display, smart watch or screen in gyms/ on your phone. Race against a 3D virtual avatar of yourself, against friends or celebrities, a well known computer game character, or fleeing from flesh eating zombies pursuing at your target pace. Race on foot, bike, through gates or slope style on skis or a snowboard, or even whilst sky diving mid-air. The point is that tens of millions of people are underwhelmed by their fitness trackers because all they do is track. We’re turning it into a game by race-ifying it, providing useful real-time feedback to motivate better performance, and we’ll extend the experience (over time) to other sports. For serious athletes, this may be racing yourself, your team mates and gaining on-screen technique feedback. For others, this may mean challenging groups of friends or earning ‘sweat credit’ from burning calories and building streaks to unlock further features and rewards. We’re putting everything we’ve got into our first product right now but at the core of it we’ve built a platform entirely focused on enabling rich (and stable) spatial experiences in a battery-optimised, low CPU environment. Whether as an API for other developers or a ready-made platform for brands – we are building something with many revenue streams to explore. The virtual reality fitness angle has been incredible for talent acquisition – we’ve built a superstar-only engineering-led algorithm, AR and AAA gaming team to rapidly create a new tier in the fitness software market. We were over-subscribed for our first funding round ($325,000) which we closed early October and our Beta launch during CES week received loads of positive press including a TV appearance on Fox Business and articles in Mashable, TNW, Metro, Mirror, Venture Beat, Tech Crunch, Men’s Health, The Mail, Fast Company and Pocket Gamer. Video marketing is widely accepted as being the best Online marketing tool out there, but videos are hard to produce, really expensive, can’t scale and are not personalized. Onvedeo creates micro-localized, auto-generated, hyper-targeted videos. We solve the video marketing challenges in the current online market with an automated video engine that produces high quality and personalized videos easily, affordably and at scale. We currently use this technology to generate real estate listings videos for brokers and agents nationwide. We are building the next generation of video ads. We believe the future of video ads is content. Onvedeo videos drive more engagement and stronger SEO. Our clients can finally compete with the Zillows and Trulias of the world for Google ranking simply by having one of our videos on their site. Boubou Guiro is the CEO and Founder of Onvedeo. Prior to Onvedeo Boubou was heading up product at CBS Interactive. 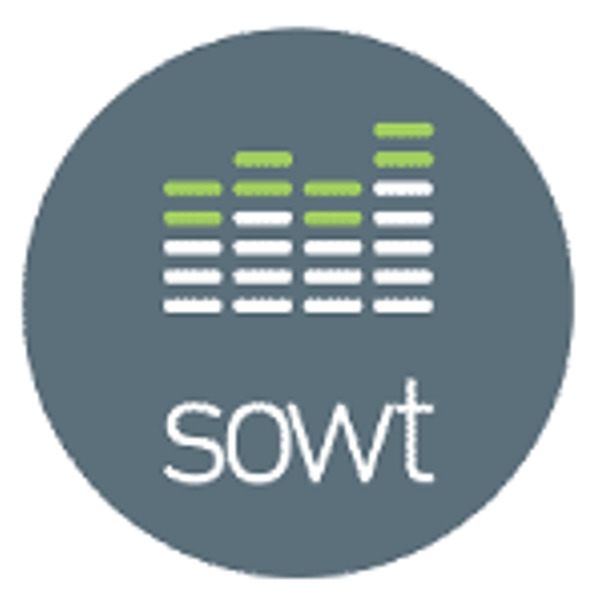 Sowt: Sowt is an audio social network, offering people a platform to–literally–make their voices heard. Sowt (Arabic for ‘voice) is an audio social network, offering people a platform to–literally–make their voices heard. Launched in March 2013 on the web, iOS, and Android, Sowt today boasts close to 50,000 users. The idea behind Sowt was inspired by the events of the Arab Spring. The founders initially wanted to create an audio-based citizen journalism platform, but the idea then evolved into a more generic platform that can be used by journalists and others alike. Today, engagement on Sowt spans a variety of topics, from current events to music and poetry, social issues, and even jokes! Hazem Zureiqat is the Co-Founder & CEO of Sowt, a new audio social networking platform. 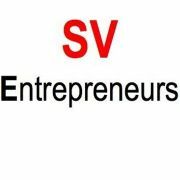 He leads product development, marketing, and investor relations activities at Sowt. Hazem is an active member of the tech community in his native Jordan. He is currently based in Silicon Valley. A graduate of MIT and Macalester College, Hazem’s area of expertise lies in transportation engineering, planning, and economics. In addition to his work at Sowt, Hazem serves as a transportation consultant at Engicon, a multidisciplinary engineering consulting firm based in Amman, Jordan. He has previously worked at the Greater Amman Municipality as the Head of the Transportation Economics and Modeling Division. Hazem is currently the President of the MIT Arab Alumni Association and a founding member in Taqaddam, a citizen-driven political, economic and social platform in Jordan. TourNative is a unique online marketplace that connects travelers with the locals all over the world. Our one of a kind platform serves as a bridge between travelers who are looking to experience a country in its full authenticity and the natives who are eager to show their local hidden gems. Quynh Pham is a graduate of Pennsylvania State University with a degree in Computer Science. Upon graduation, she worked as a software engineer at IBM and for several finance and e-commerce companies. Quynh is now a serial entrepreneur, a hacker, a finance enthusiast, a world traveler, and a technologist. She single-handedly took online classifieds to the next level and founded Reachoo. Reachoo is now profitable and serves hundreds of thousands users monthly. She’s just launched her second startup, TourNative, and on her way to grow it rapidly.